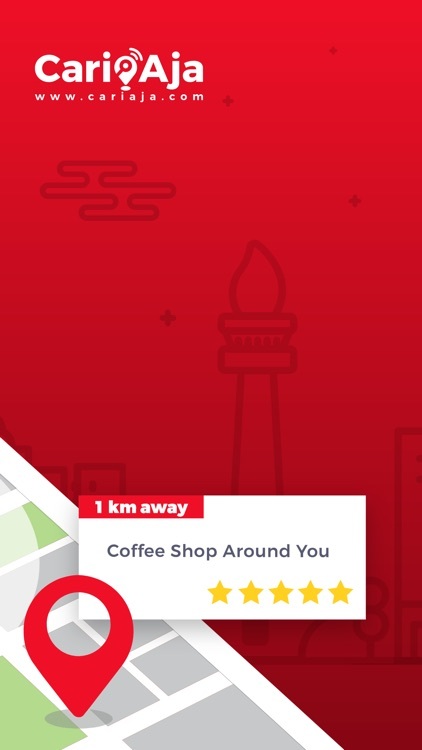 Cari Aja not only help you to find places near by you and find the easiest route to your desire place, but also gives other information such as contact details, customer review, and recommended places. - Can add places to favorite. - Detection of current location. - Custom search with autosuggestion. 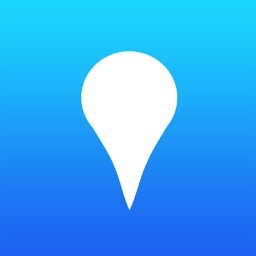 - Direction of current location and real time distance to places. - Direction of the places are shown in MAP view. - Can find places in any location without being there. 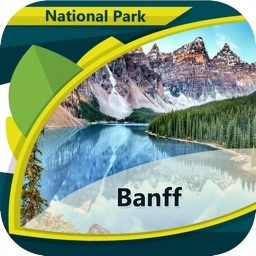 - Integrated with Google Map or Waze for easy use. 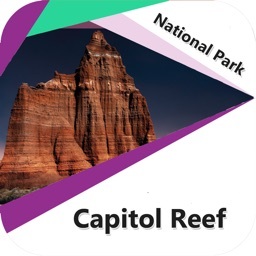 - Display detailed information of places as contact information, website, place ratings, location, distance, etc. 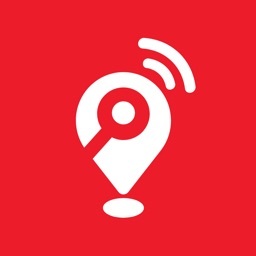 - Any nearby places with map and all details. Not only finding you a place we also give direction and find you the fastest route to your location thru Google Apps and Waze. Be part of Cari Aja community and contribute places that you recommend into our list. If you own a place you can Add your Places into Cari Aja Directory List and Get People to Know Your Places. 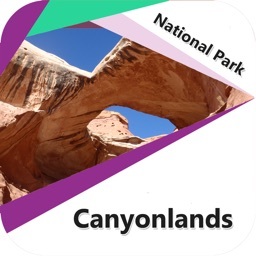 Add your favorite places for quick access and get notify with great offer from your favorite places. Share Cari Aja Apps, Favorite Places, and other recommended places thru social media, messenger, email, and others communication channel to your friends, family, co worker, Bf/Gf, or others. 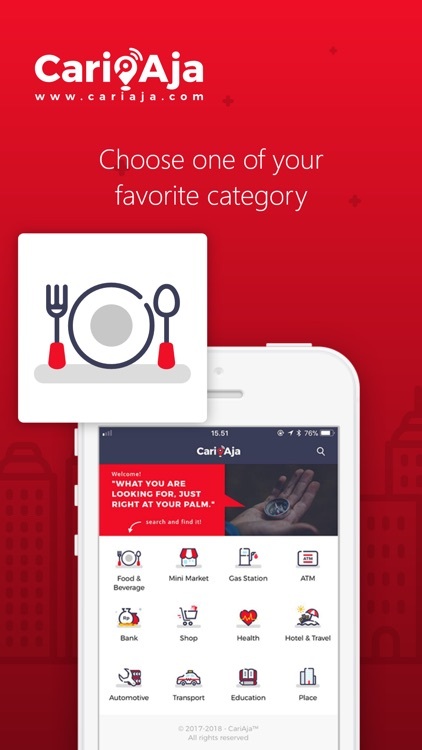 Search your favorite culinary places (food & beverages) such as Restaurant, café’s, street food, bakery. 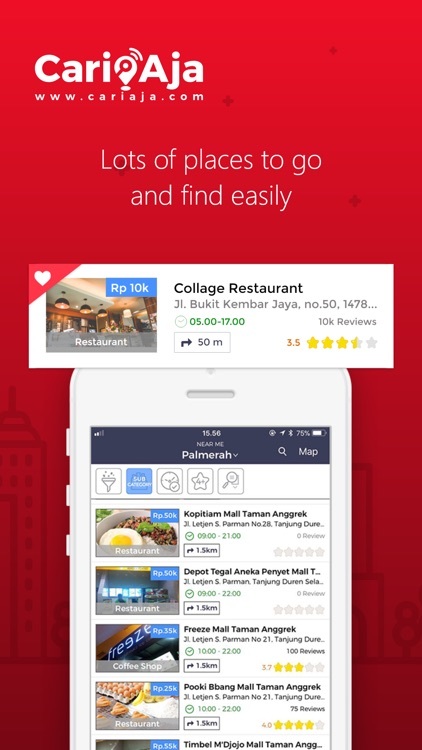 You can also search by nearest location or favorite places by location around Indonesia. 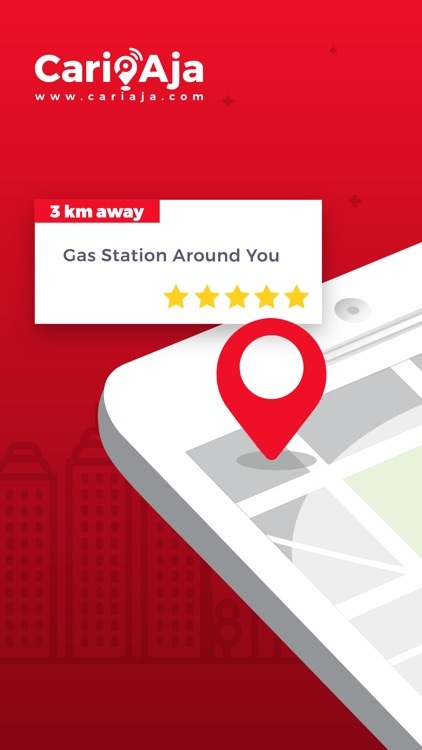 Search and find mini market around you by store or by location. Complete with information and branches of our partner store such as Indomaret, Alfamart, Alfamidi, Circle K, Lawson, Ceriamart, and others Local Mini Market around Indonesia to meet your needs. Out of Gas in the middle of nowhere, search and find the nearest gas station around you. Complete list of Gas Station around Indonesia such as Pertamina, Shell and Total. Search and find your preferred ATM in any location around Indonesia, our platform has the most complete ATM list by area, city, province in Indonesia. Search for your bank anytime anywhere for the best transaction experience. Over a thousand bank branch directory all over Indonesia starting from Bank Mandiri, BCA, BNI, BRI,to Bank Bukopin. For those who like to shop, CariAja give you the convenient way to search the best shop and deals in all Shopping Mall, Supermarket, Store and Market in Indonesia. Your Health is Important, CariAja gives the most complete directory list of Hospital, Pharmacy, Clinic and Laboratory. For any urgent matter just search the nearest place around you. 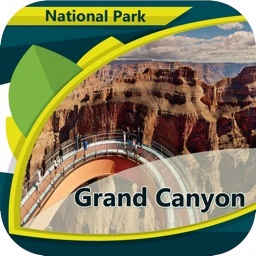 One of the most favorite category in CariAja Apps for those who like to travel. 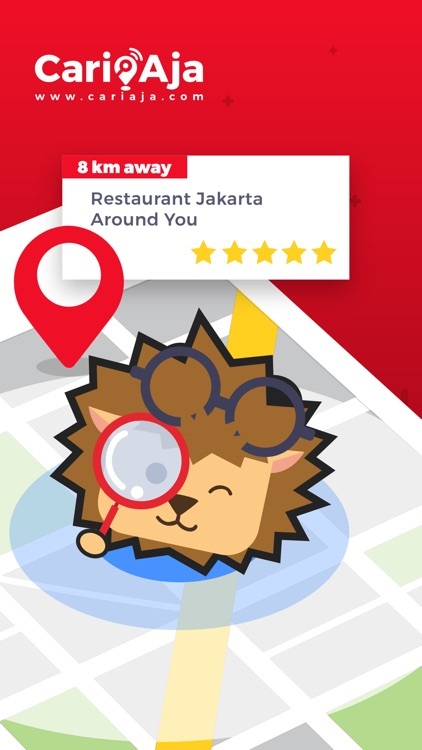 With CariAja Search and Find the best, recommended and nearest place around you such as Hotel, Villa, Tourism Site, Beach, Museum, and Historical Site and explore more new places, add your adventure and new places in CariAja, be our active and top contributor. Complete with more than 100’s dealerships, workshop, service and reparation places for all type of cars. Get moving with the best and most convenient transport with option of transport by location. List of hundreds of school of university, search the best in the most convenient way.